Parents What Type of Challenges Do Your Children Experience? Anxiety, ADHD, Autism – These conditions may indicate your child functions in higher ways yet to be understood. Find ways to nurture their gifts. High Sensitivity – Nurture & support your child. Bring out the best of their gifts. Allow them to express & develop their intuition. Take on others pain/trauma – Teach your child how to set boundaries and ways to protect their energies. Consult an Energy Healer how to clear interfering energies from others. Feel Alone/Different – Love your child. Encourage them to find & develop their passions. Intolerance to certain foods or medication – Discover which healthy, organic & Non-GMO foods your child thrives on. Regular school, child bored or anxious – Check out alternative schools where children discover & pursue what interests them. For e.g. home schooling, Montessori, Sudbury, Waldorf etc. Michael’s service involves the New Children. They are known as Indigo’s, Crystals, Rainbows, Sun Children and Starseeds etc. He is a Self-Help Mentor, Energy Healer and Intuitive. Michael will teach the New Children, parents, grandparents and other teachers. Teaching will be through articles, online teaching and retreats in Sedona Arizona. Teaching includes accepting being unique, being confident in expressing, and boundary setting. Instruction also involves clarifying and using special abilities and clearing other people’s energies. They will learn how to deal with emotional challenges and sensitivities. Other areas focus on expression of creativity, feeling different, and managing energy etc. The New Children will be given an opportunity to recognize and use their gifts to fulfill their Earth missions. These New Children bring massive paradigm shifts for the good of the Earth and all humanity. Clarifying Life Purpose: What is your unique mission? Developing Abilities & Gifts: Learning about your energy patterns, challenges and gifts. 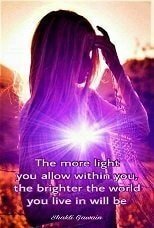 As a Lightworker and Indigo adult, I have dedicated my life discovering and healing myself and others emotionally, mentally, and spiritually. I am dedicated assisting the New Children/New Humans recognizing their gifts and who they truly are. I am inviting other healers, teachers/mentors and parents to collaborate with me. Personally, I have encountered some of the New Children in the last 2 years. I have also been in contact with parents and grandparents who described the qualities of their Crystal and Rainbow children. 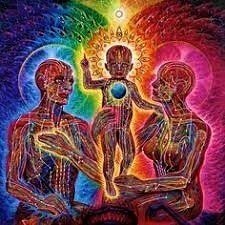 Recently with my wife Lyn, we have assisted pregnant mothers with Sun Children babies with Energy Healing, over the phone, for both mother and baby. My time with Michael at Airport Mesa last week was life-changing to say the least. I gained significant clarity into my life purpose, left feeling clear about what to do next, and uncovered some fears and thought patterns that have been holding me back for a very long time. Whenever Michael asked me a question, he was truly listening to the answer and using it uncover ways he could help me and enhance my experience on the mesa. We shared some sound healing, chakra clearing work, and meditation. At the end of our time together, Michael shared some important Native American wisdom and then offered me some Spanish Sage essential oil to seal our time together. Thank you, Michael for listening to me, for truly hearing what I was saying, and for responding in such deep and loving ways. Our time had a great impact on my life and I will be forever grateful! Michael is a gifted, knowledgeable, and kind guide and healer. I was looking for pain relief following a very recent shoulder surgery. What I received from this experience was that and much more. After hiking a short distance into Cathedral rock, Michael explained the history and healing powers of the area and vortex, encouraging us to open our mind and heart to the amazing energy. At one point he laid down blankets for us to relax on while we touched the earth to connect with the energy. He placed a tuning fork on several points on my body and concentrated on my shoulder. Then the most amazing thing happened. As I was meditating, I saw a red flame escaping through a blue light until all the red was gone and just the blue light remained. I was then pain-free!! The heat in my shoulder was gone and I just felt relaxed. My husband and I went to Sedona last week for our honeymoon. We wanted to start our trip with good intentions and new beginnings for our next chapter in our lives. Michael was our tour guide and he made this experience very personalized for us. He helped us visualize our goals, identify maladaptive thinking patterns and gave us tools that we can manage our anxiety at home. Michael also taught us about the Sedona land and gave a history of the Native Americans. We did a meditation on the airport vortex. Michael also did tuning fork and sound healing with us. We went to the labyrinth and the medicine wheel. While there Michael did a ceremony to bless our marriage. It was such a great experience that my husband and I will never forget. Sedona has always been on my “bucket list” of places to visit. I have heard amazing reports of how it is a Spiritual Epicenter. Upon visiting Arizona to visit a friend, I suggested that we go to Sedona. I left it up to her to plan our adventure. She proposed this meditation hike to experience the vortexes. Being an Acupuncturist, I am always game to experience something new, especially when it comes to energy and spirituality. After reading descriptions and reviews of this activity, I was certain that it was going to be a great experience, possibly life changing; however, was not prepared for the magnitude of the experience. Michael was a wonderful guide and he tailored our experience individually. We worked with a number of modalities including meditation, connecting with our 5 senses and nature, sound healing, opening chakras, explanation of science behind the phenomenon, detailed explanation of area, examples pointed out in nature, aroma therapy, rooting/grounding/anchoring and much more. My biggest take-away from the experience was the realization of my energetic potential. Being an energy worker myself, I was able to sense things on a very deep level and benefited greatly from this experience. I felt the energy coursing through my body, hair standing on end, and I had some deep revelations about my life and the universe. No matter what belief system you come from. Michael tailors the experience to the individual, making is special for everyone. I am normally not the type to go on guided tours, as I am fiercely independent; however, I can honestly say that this was one the best investments in my self-development that I have made. Every wondered, who or what heals the healer? An experience just like this. Thank you Michael! I am eternally grateful!!! Taking the vortex tour with Michael was the best decision I made in my visit to Sedona. Michael is a connoisseur of the geology as well as the metaphysical aspects of the land. He can take you from the mundane to the sacred, all in one tour. Michael intuitively took me to the Airport Mesa vortex that represented the 3rd chakra, which synchronistically aligns to the type of clarity and healing I was looking for. The healing session was beautiful. I went to a deep state of mediation, as soon as I closed my eyes. Michael helped me access the clarity and vision I needed to feel confident and optimistic on the path of my life purpose ahead. Once we finished the meditation, he helped me integrate all the visions and insights and ground myself back through a sound technique that vibrates specific tones related to each chakra. I appreciated this last step so much; in places like this, where the energy is so intense, it is crucial to integrate and ground in in order to move properly forward with new insights. The time we spent together was special, I felt we spend the whole day together when it was only a couple of hours. The rest of my days in Sedona where reminiscing the insights of this day. I came back home with a full heart and a ton lot of clarity of my path ahead! Michaels’s wide offerings of healing techniques, coupled with his connection to the Divine, to the energy body, to spirit, to Native Indian wisdom and practice, and mostly to the truth has brought me to a higher-level self-transformation. My experience was nothing short of remarkable! 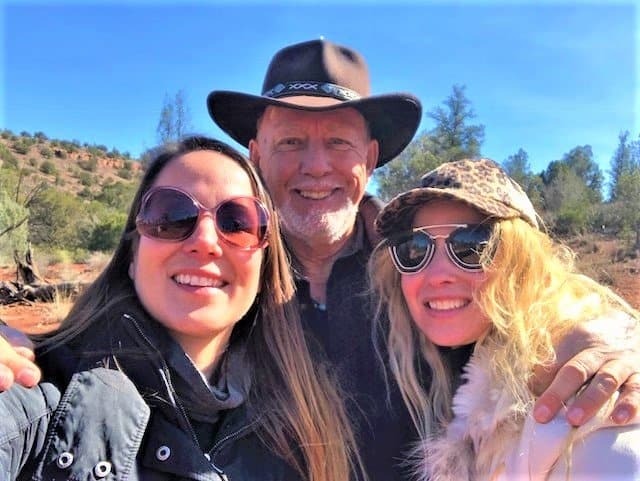 Michael’s deep connection to the Sedona mountains set the stage for authentic energetic, physical and emotional healing!!! Hello, my name is Michael David. I, like many men, suppressed my emotions for most of my life. I took on the role of the invisible child in my alcoholic family and kept everything inside because I felt unsafe and afraid of my father’s violence. 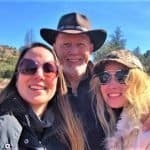 I am an Author and self-help blog Writer, Bowen Therapist, a Hiking Tour Guide in Sedona Arizona providing personalize experiences of healing and spirituality, a Holistic Energy Healer, a former Personal Growth Seminar leader, a former Self-Esteem Coach and Mentor for teenage girls and young adults. I have dedicated my life discovering and healing myself and others emotionally, mentally, and spiritually. 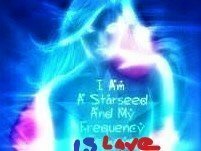 I am a Lightworker, Indigo adult, and a Starseed dedicated to begin assisting the New Children/New Humans recognizing their gifts and who they truly are. I am inviting other healers, teachers/mentors and leaders to collaborate with me. Personally, I have encountered some of the New Children in the last 2 years. I have also been in contact with parents and grandparents who described the qualities of these New Children.